Hello everyone! 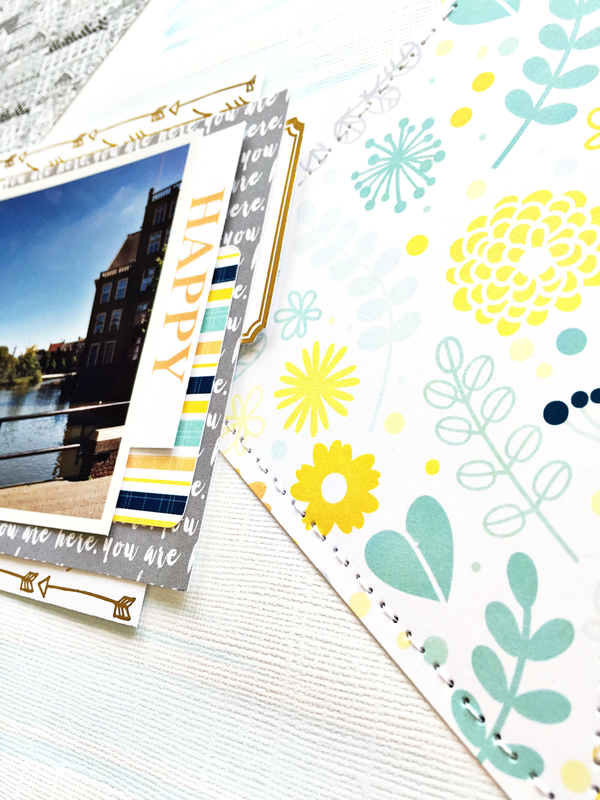 Today I have another layout to share for Pretty Little Studio, this time with the brand new Let's Go collection, which is right up my alley! I mostly scrap travel pictures, so this is totally perfect and I really love the colors and patterns. 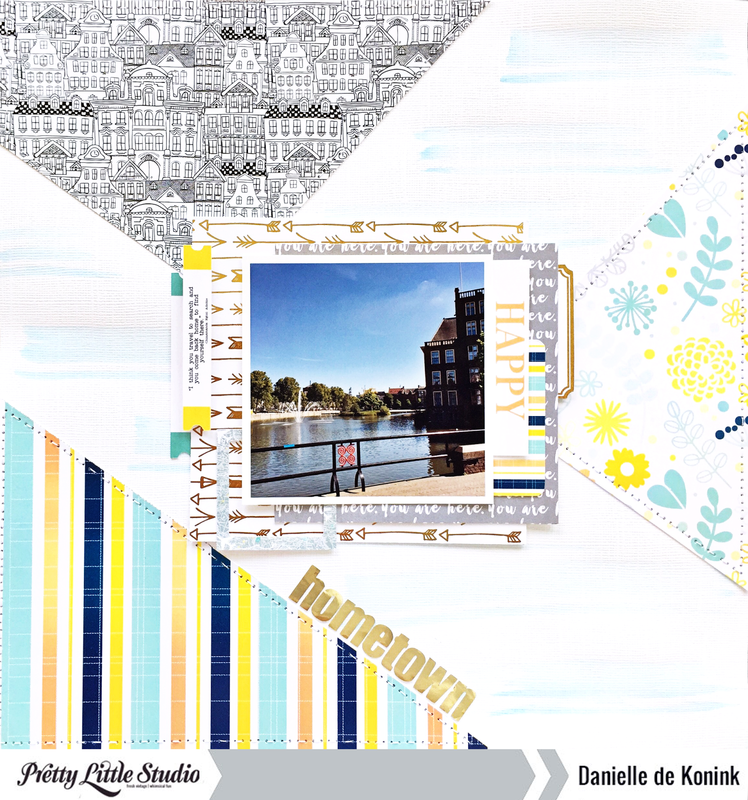 So it may be a bit weird that my first layout with this collection is with a picture of my hometown, but it just happen to fit well with these papers too. 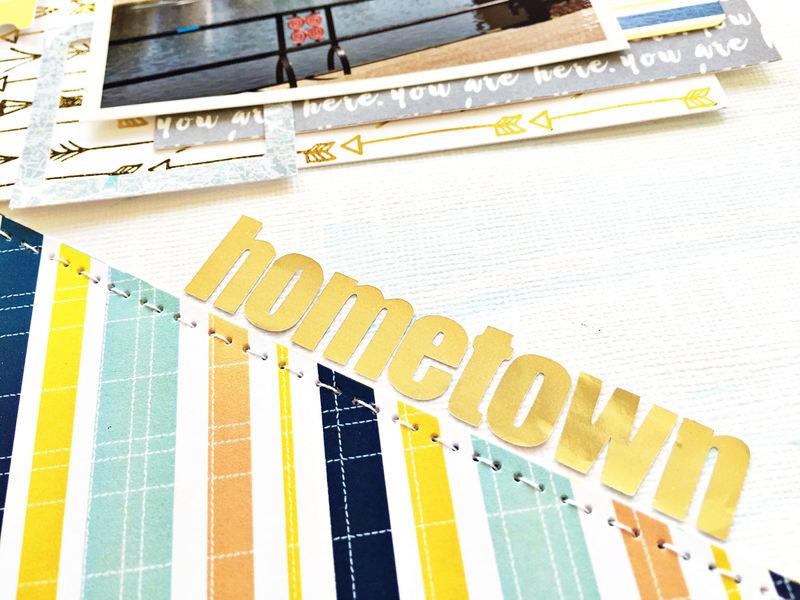 I started the base of my layout by cutting up the Barcelona paper and stitched the three pieces along the edges of the white cardstock background. The top pattern is from the Amsterdam paper, so that's where the idea of my hometown picture came from. I added some watercolor stripes to the white spaces and layered some papers, frames, a bingo card and labels under the picture. 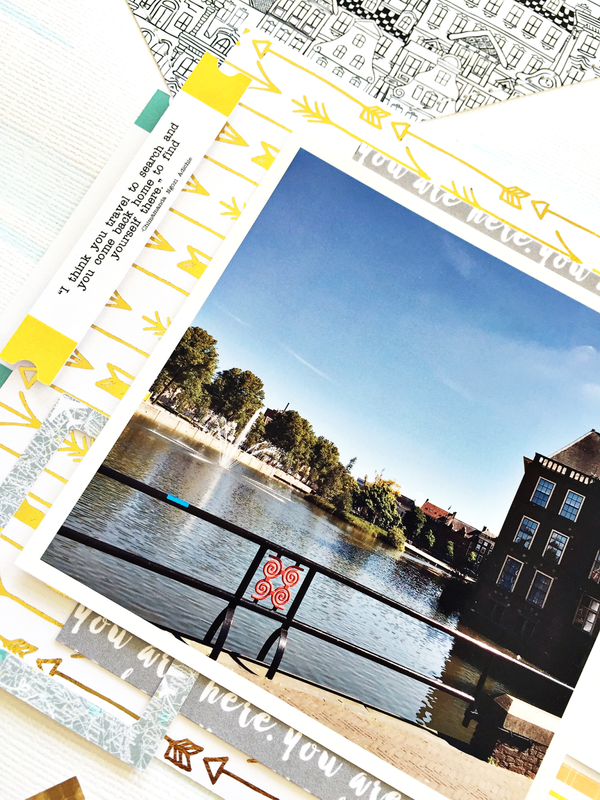 I really love the Tickets Define Travel and the quote I used for this layout is such a perfect fit. It says: I think you travel to search and you come back home to find yourself there. Thank you for stopping by and have a wonderful Sunday!